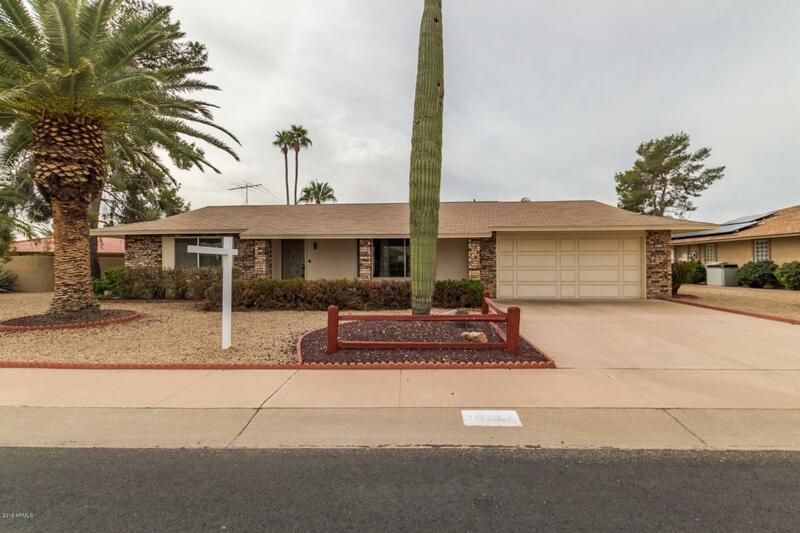 Charming and spacious home in Sun City! This home is full of upgrades you will love! Mature desert plantings in the front yard and lovely brick accents on the exterior, greet you from the entrance. 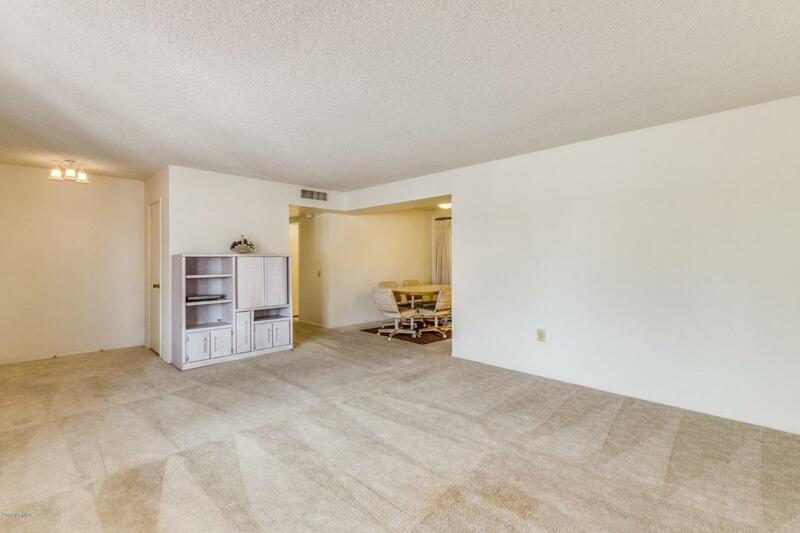 This wide open floorplan provides the perfect kitchen complete with the ever popular stark white cabinetry, white appliances and skylights that allow great natural lighting! The AZ Room, comprised of a multitude of windows allows ample sunlight! Create your own reading room or solarium! 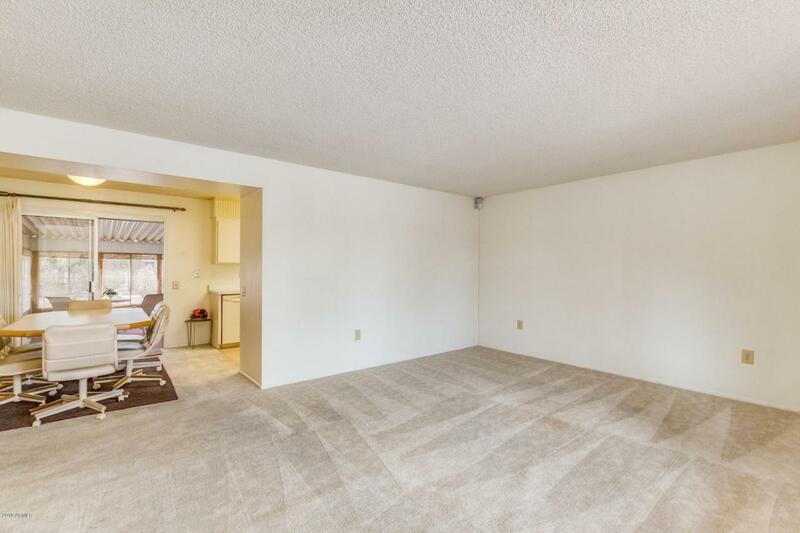 Enjoy the pass through window from the kitchen and host beautiful meals in this coveted space! The master bedroom boasts a no step walk-in shower! 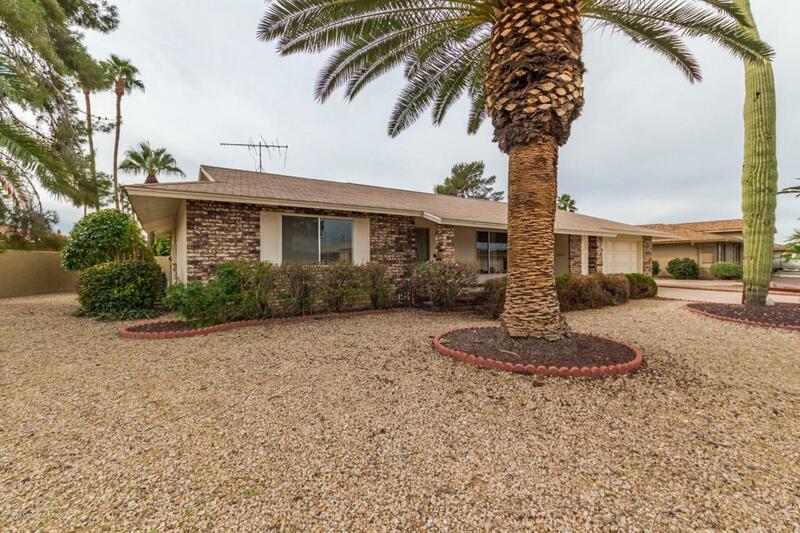 This home is located on a large lot and backyard is host to mature fruit trees and desert plantings! This home will not last - call and see it today!